Happy Diwali, of course done the eve of not today! 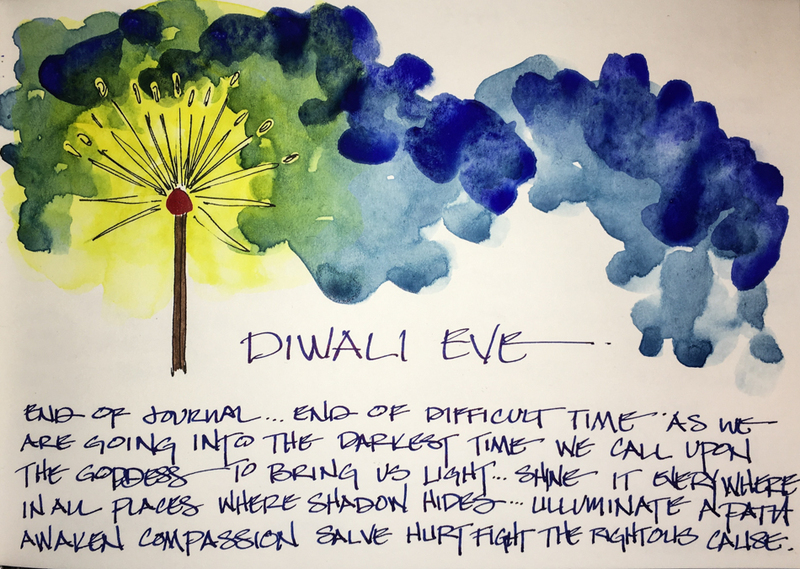 with this prayer for Diwali; I opened my next journal the next morning. We light the candles, make offerings, thank the deities for the light! or check out my new, improved dkatiepowellart.com. Holbein and Daniel Smith Watercolors. 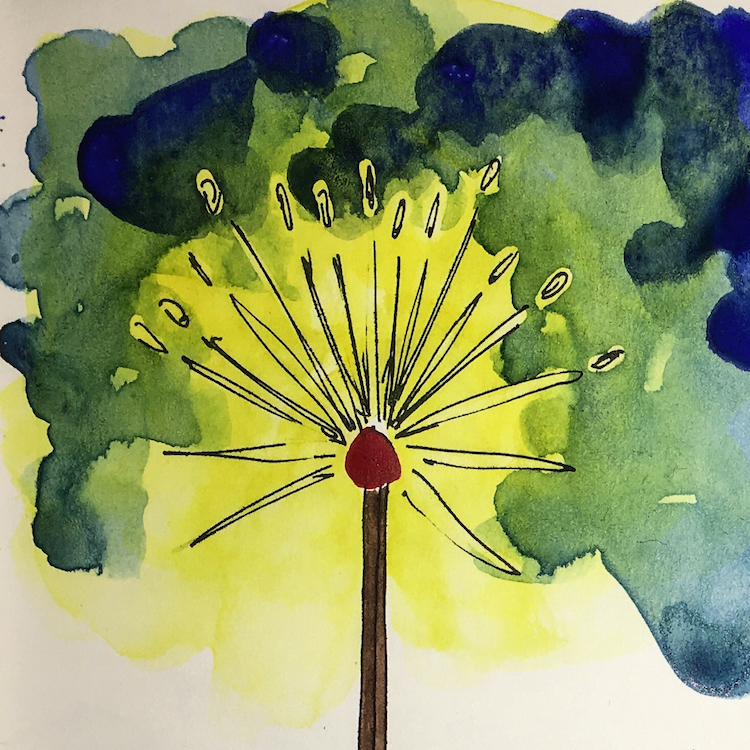 This entry was posted in art journal, journal, memory, painting, ritual, sketchbook, watercolor and tagged #danielsmithwatercolors, #diwali, #holbeinwatercolor, #inktober2017, #labellaluna, #middleofthenight, #newmoon, art journal, Da Vinci Watercolors, Daniel Smith watercolors, Fineline masking fluid, Holbein, lunar, moon, new moon, Nostalgie Sketch Book Journal, Platinum Carbon pen, prayer, watercolor. Bookmark the permalink. Wow this is a great piece. Love the colors.